Lightweight cotton Fairtrade shawl from Ethiopia. "Desta" means happy in Amharic. Why? 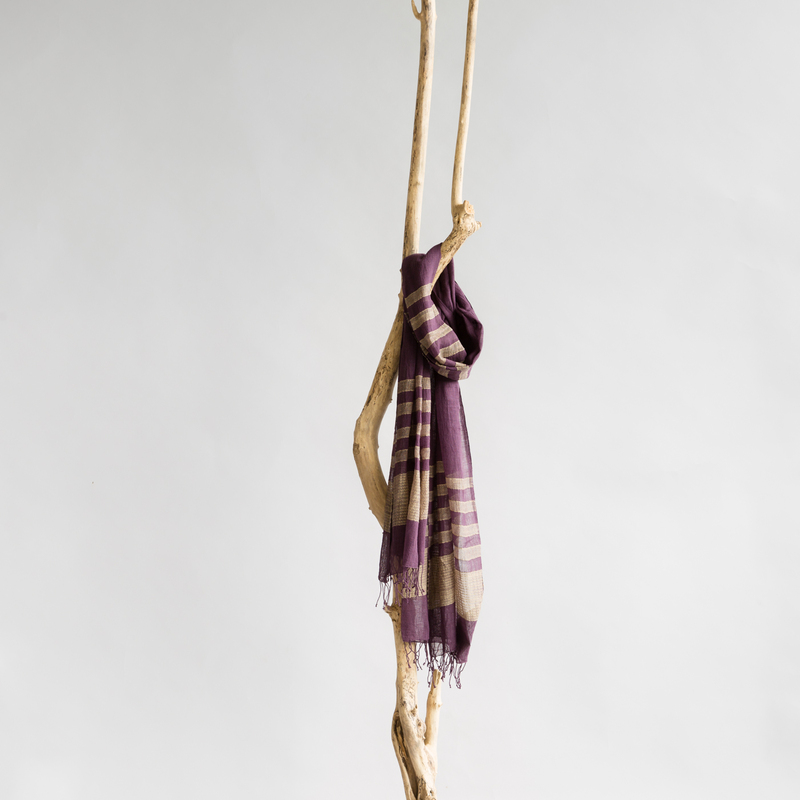 Because this lovely violet and beige lightweight shawl will add a little happiness to your wardrobe. 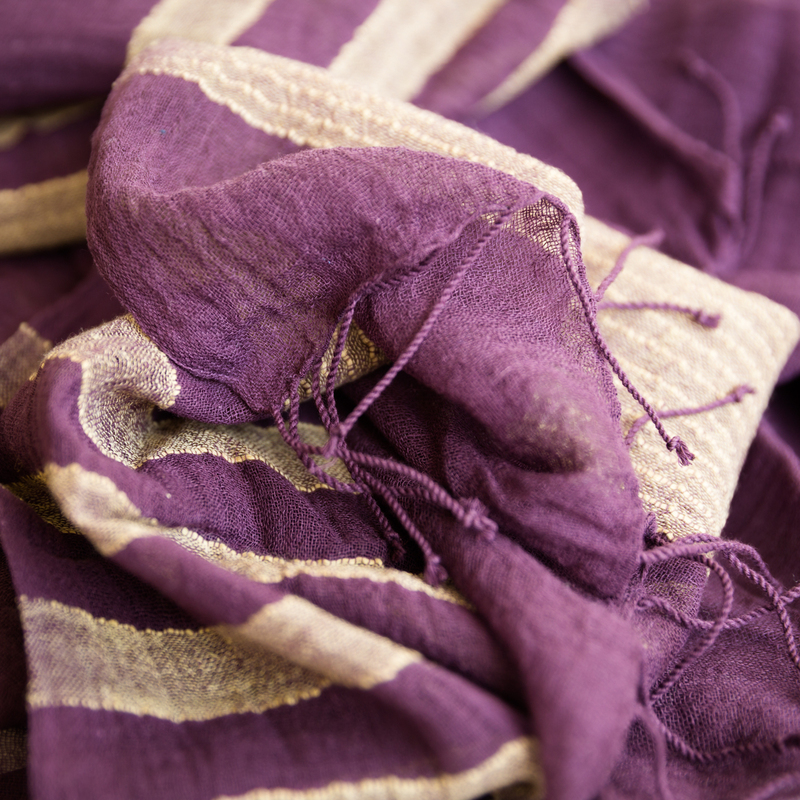 This soft cotton piece is handwoven by artisans working with Sabahar, a Fairtrade organisation in Addis Abeba.